Jacksonville State finds themselves in a very unfamiliar spot in OVC conference play – looking up at a team ahead of them in the standings. The Gamecocks dropped their first OVC game since 2013 last week at SEMO, 48-32, putting an end to a 36-game winning streak in league play. Key Player: QB Zerrick Cooper is the heartbeat of the Jacksonville State offense. With an efficiency rating of 151.8 and 16 passing TDs, when he’s on, JSU is on. The question is whether he can bounce back from a subpar effort last weekend. Fantasy Bonus Baby: WR Josh Pearson is Cooper’s go-to guy through the air, having scored 12 TD grabs from Cooper, leading the FCS in that category. Having just set the school’s record as all-time touchdowns leader, he’ll be looking to build on top of that in the last four games, and as always he’ll be a frequent target. Off to its first 4-0 OVC start in the OVC since 1996, the Murray State football team will look to keep rolling against Jacksonville State, which is coming off its first conference loss since 2013. The Racers took over sole possession of first place in the OVC last week with a 34-6 win at Eastern Kentucky. Murray State struggled early in the game, running just 12 plays through one and half quarters and only picking up one first down during the span. 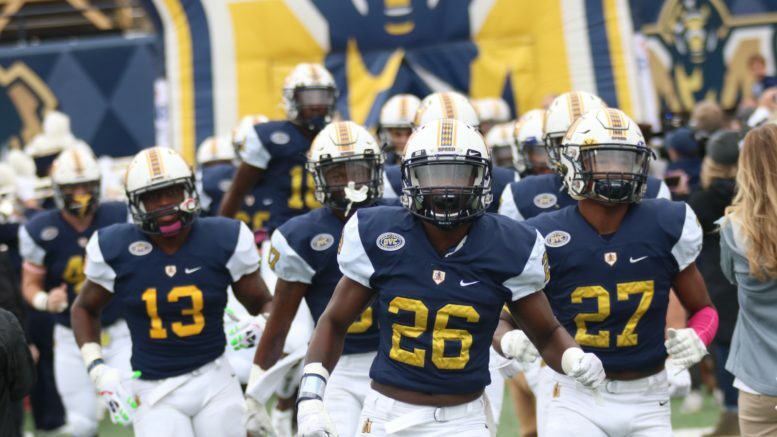 However, when Quincy Williams intercepted the ball with under four minutes left in the half and returned it 85 yards to the one-yard line, the momentum immediately shifted towards the Racers. After Rodney Castille punched it in for MSU from the one-yard line on the next play, the Racers would go on to outscore the Colonels, 31-3, and never look back. Key Player: DE Kenney Wooten had three sacks last week and was a big part of the Racers’ stifling defensive effort last week against EKU. He’ll need to get in Zerrick Cooper’s face a lot if they hope to knock JSU out of the OVC title race and maybe even out of the at-large FCS playoff race, too. Fantasy Bonus Baby: If it’s a close game, PK Gabriel Vincente might be the difference in a close game. He’s currently one of five kickers that has not missed this season, to lead the nation in field goal percentage.